2018 was an amazing year for craft beer in Massachusetts and 2019 is gearing up to be even better. 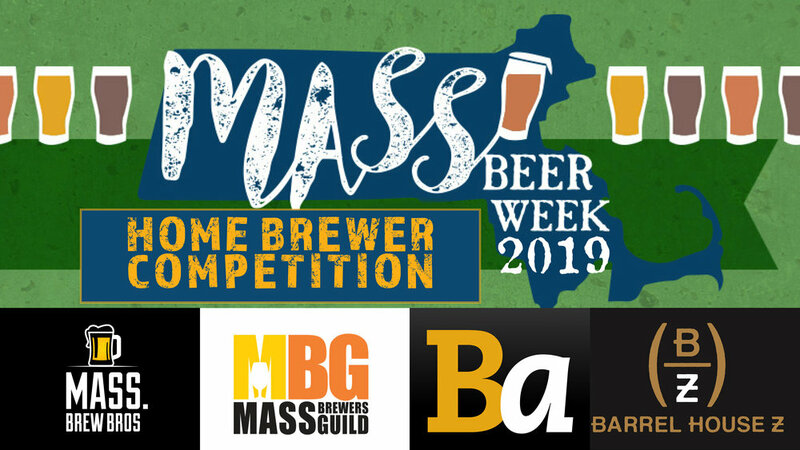 To celebrate all that is great about Mass beer, the Mass Brew Bros along with Mass Brewers Guild, Beer Advocate, and Barrel House Z, will hold a Home Brewers Contest. Winner will have their recipe brewed at Barrel House Z for release in the BHZ taproom. Partner with local beer experts to talk about the past, present, and future of Massachusetts beer. Invite a local beer author and host a book signing at your venue, or host a discussion about techniques to improve the beer enjoyment experience. If you are enjoying a locally made beer or visiting a brewery during Mass Beer Week, share it and tag it, with #MassBeerWeek.